Perfect. That is what your wedding should be. We’ve invested over $35 million in a makeover for our elegant waterfront hotel to make sure your special day is just that. 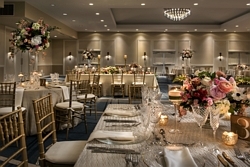 Our Certified Wedding Planners will help you orchestrate your vision by overseeing all the details. 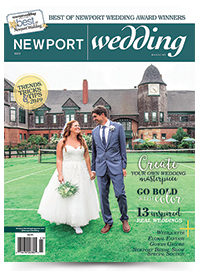 Visit us at OceanCliff Booth # 51 at the 16th Annual Newport Bridal Show, Saturday, February 17, 2018. We look forward to seeing you there! And don't miss our Salon & Spa's latest Hair and Makeup styles on the OceanCliff models during the 12:00 noon and 2:30 pm fashion shows. Complete the form below to send Newport Marriott an e-mail message.